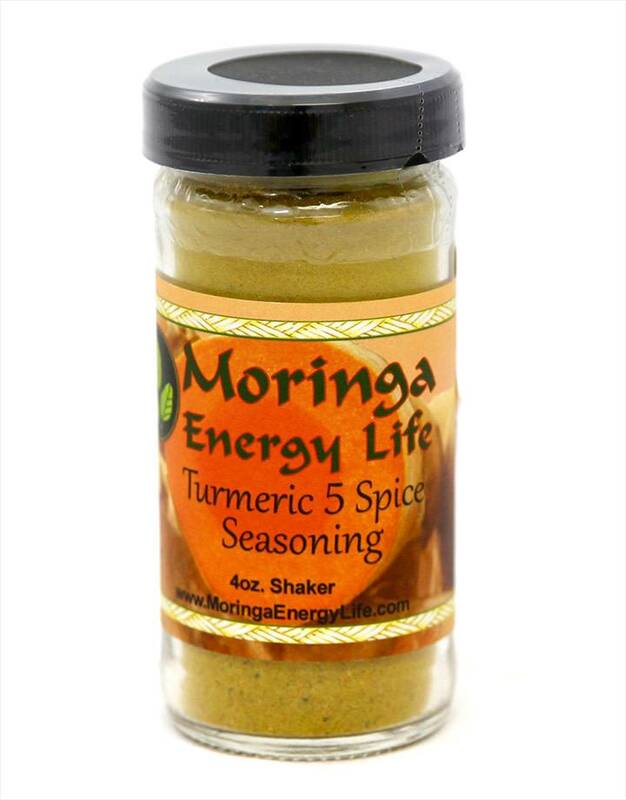 Enjoy superior taste and nutrition with our Moringa Energy Life Seasonings Shaker. Antioxidant rich and nutrient dense herbs to increase your daily intake of vitamins, minerals and nutrients. Ingredients: Organic turmeric powder, organic moringa leaf powder, organic pink Himalayan sea salt, organic pepper, organic garlic powder.